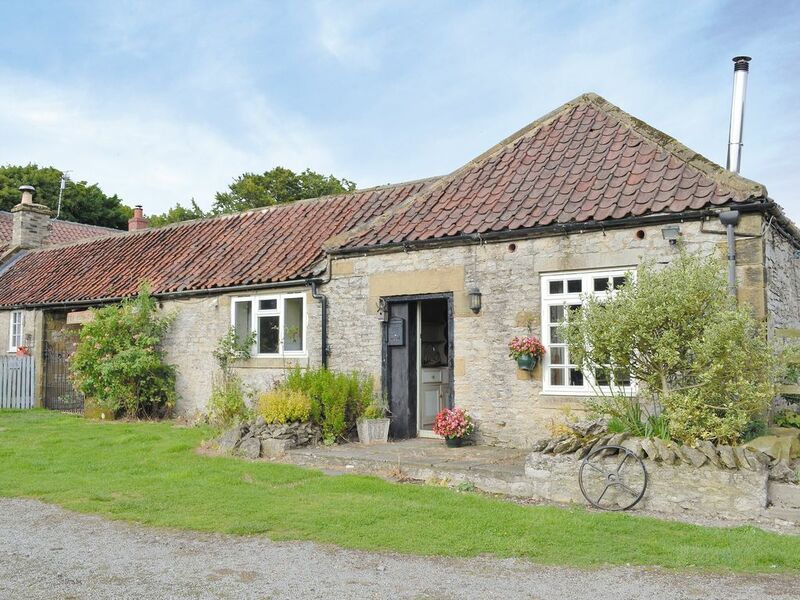 A romantic stable conversion complete with four poster bed, oil wood burner and a hot tub. Explore the Cleveland Way or the Paradise Loop, both close by. Quaint, cosy and romantic, this delightful holiday cottage is the perfect place for a truly relaxing break amidst stunning surroundings. Formerly a stable, with many original features, the cottage now offers a dreamy four poster bed, an oil wood burner and a bubbling hot tub. Situated on the owner’s small holding at High Paradise Farm, visitors can enjoy the licensed tea shop (open March – September) and evening meals are available by arrangement, whilst the renowned village inn at Felixkirk, four miles, serves good food, including breakfasts. Tucked away on the edge of the North York Moors National Park, this is certainly a paradise for walkers and cyclists. There are numerous tracks and trails from the doorstep and the Cleveland Way and the Paradise Loop are close by. An eight mile scenic drive leads to the delightful market town of Helmsley, with its castle ruins, walled gardens and the International Centre for Birds of Prey at Duncombe Park. Around the bustling square with its ancient cross are an interesting mix of quaint and individual shops, cosy pubs, charming tea shops and fine dining restaurants. Thirsk, seven miles, is renowned for its racecourse and connections with the famous vet James Herriott. The World Heritage site of Fountains Abbey and Studley Royal is just a 40 minute drive away. For those seeking adventure visit the gliding club at Sutton Bank and Yorkshire Outdoors at Felixkirk for off road driving. There is a wealth of history in this area with abbey ruins at Rievaulx and Byland and historic houses at Castle Howard and Nunnington Hall. Easily accessible are the coastal towns of Scarborough and Whitby and the ancient walled city of York with its cobbled streets, magnificent Minster and abundance of tourist attractions. Lounge area: With oil wood burner, Freeview TV, DVD player and iPod dock. Kitchen area: With tiled floor, electric cooker, fridge/freezer and washing machine. Bedroom 1: With king size four poster bed and en-suite with shower over bath and WC. All oil, electric, bed linen and towels included. Wi-Fi. Patio with furniture. Parking (1 car). Cycle store. Hot tub (exclusive use for guests). Natural water supply from borehole. No smoking. Natural water supply from a borehole. The water in the hot tub is replaced after each booking, therefore, it may not be available on the 1st night of your holiday as the water may not heat up sufficiently quick enough.